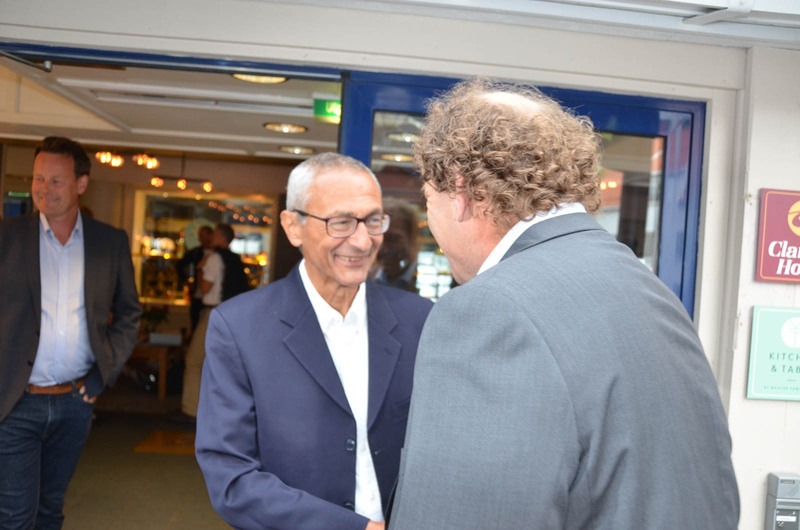 John Podesta, who managed Hillary Clinton’s unsuccessful campaign against Donald Trump, arrived with Bellona in Arendal, Norway yesterday to some anxious questions – about the environment and otherwise. The news from Washington was dark: During a shouting match press conference on Tuesday afternoon, Trump had become the first US president in generations to openly sympathize with the cause of Nazis and white supremacists. Trump’s shocking comments came in the wake of Saturday’s demonstrations by white supremacists in Charlottsville, Virginia, during which one counter-protestor was killed and several more hospitalized. At a moment when it should have been easy to fault extremists bearing guns, swastikas and confederate flags for the bloodshed, Trump refused to do so. When reporters pressed Trump on his response, he erupted, asserting that anti-racist protesters were as much to blame for the violence as the racists. 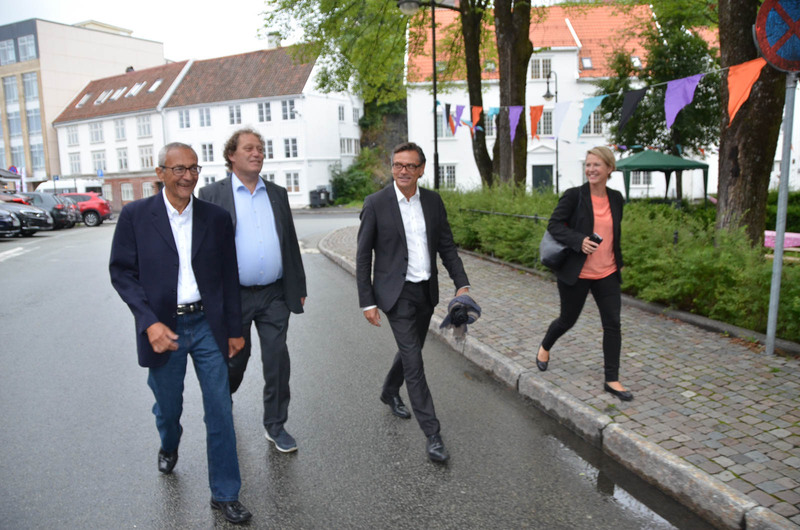 Upon arriving at the Arendalsluka political powwow Podesta – who himself has been targeted by Trump’s Twitter finger – he told Norwegian media the US president’s comments reflect his true beliefs, and should finally divorce him from the support of the Republican party. Trump’s remarks were another blow to America’s aspirations to moral leadership on the world stage. 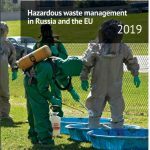 Since coming to office, his adminstration has advanced a nationalist “America First” platform that has unravelled ties with allies and undermined international agreements. 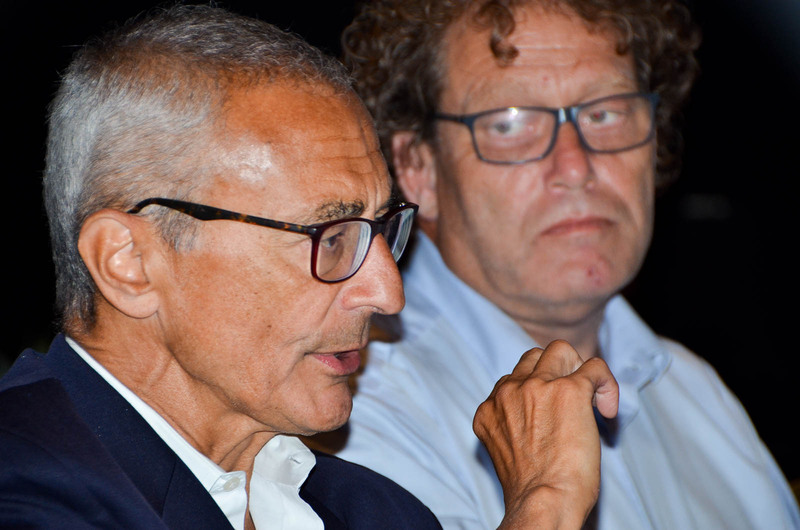 Podesta noted in conversations with Bellona that Trump’s take on events in Charlottesville and his charges of “fake news” fed a broader strategy of casting doubt on firmly held beliefs ­– climate science included. Nowhere is this more apparent than in the damage Trump has done to the 2015 Paris Climate Agreement, the landmark pact to fight global warming signed by nearly every nation on earth. Trump has described it as a “rip off” to the American fossil fuel industry, and in May, he said the United States would withdraw from the accord. 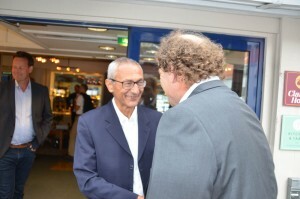 Podesta, who was a senior advisor to President Barack Obama, played a central role in crafting America’s contribution to Paris, and when he arrived at Arendalsluka with Bellona President Frederic Hauge, the fate of that environmental legacy in Trump’s hands was heavy on his mind. After all, Podesta told Bellona on Wedneday, the United States had nearly caught up to Europe as a leading nation in addressing climate change under Obama. “Now we have become the laggards ­– again,” he said. Since taking office, Trump has declared war on accepting climate change. His administration has forbidden the Department of Agriculture from using the term “climate change” in their written work, telling officials there to say “extreme weather” instead. His Environmental Protection Agency, headed by fossil fuel friendly climate denier Scott Pruitt, has been busy burying the agency’s past scientific work on climate change while trashing environmental regulations on coal, water and air. But Podesta noted optimistically that individual US states had issued a robust response to Trump’s retrograde environmental policies. Thirteen of them, including New York and Californina, banded together to say that if Washigton wouldn’t honor Paris, they would. What’s more, Americans themselves want to live up to Paris: Polls show that four out of five US citizens want to remain in the accord. And much of the international momentum toward addressing climate change can’t be thwarted by Washington alone. Obama worked hard to draw China into making carbon slashing commitments, which it finally did in Paris. Now Beijing is taking a leading role, shutting down its own coal plants and leading the world’s production of solar energy plants for export. 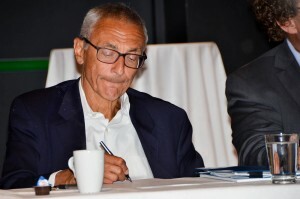 “But you can’t make up completely for having a president who is either rowing in the right direction trying to meet the challenge of climate change versus one who’s rowing backwards,” said Podesta. 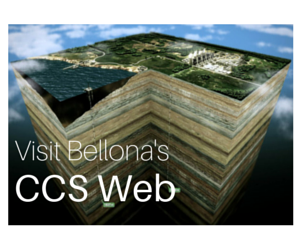 Politics back in Washington can’t help but spill out into the rest of the world, noted Bellona’s Hauge. 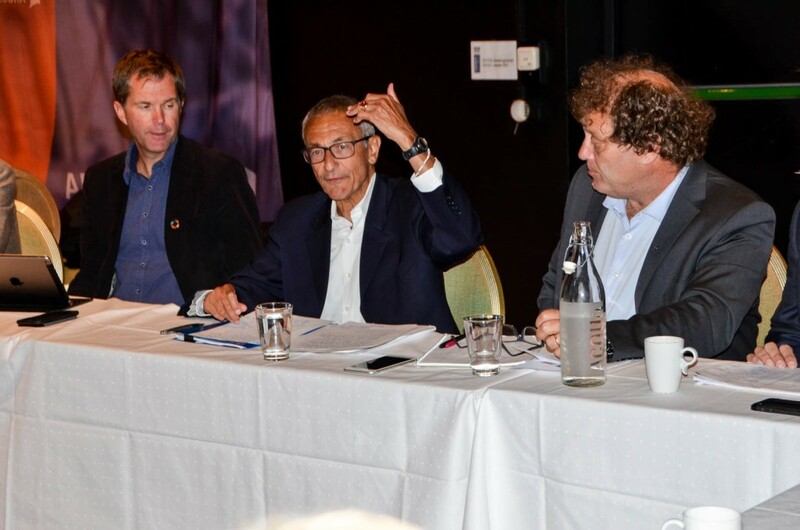 Hopes among Norwegian politicians, civil society groups and businesses gathered at Arendalsluka that Trump’s presidency would soon end were hard to disguise, and some asked Podesta to handicap the democratic challengers. While he said no one has yet emerged as a favorite, he did assure those who gathered that he didn’t think Trump would serve two terms.